We’ve known for a while that a figure of £25 Million would get you to first base in terms of seeking the purchase of Christian Benteke. It seems though from recent newspaper reports of ‘tentative proposals’ and ‘an offer to test the water’ of figures such as £18 million and £20 million, that some clubs seem to be a bit slow on the uptake. 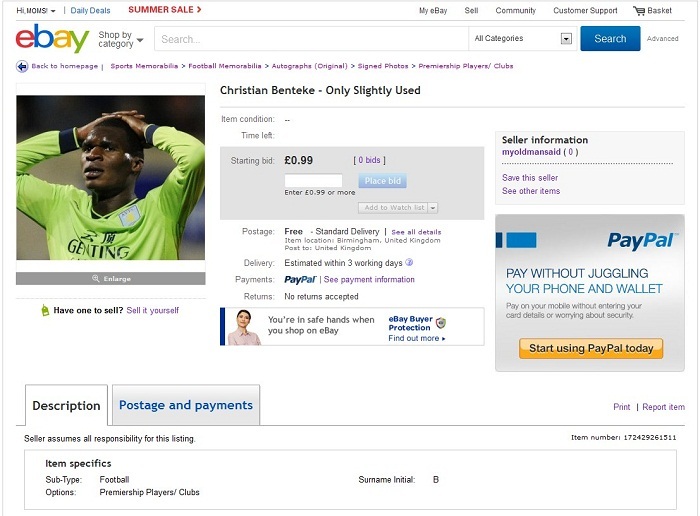 Just to make the £25 million message clearer to certain chairman (especially ones that would pay £100,000-a-week to Emmanuel Adebayor), you can now buy Christian Benteke through ebay, which has a £25 million reserve. If you don’t make the reserve, you don’t get to buy the player. Simple. 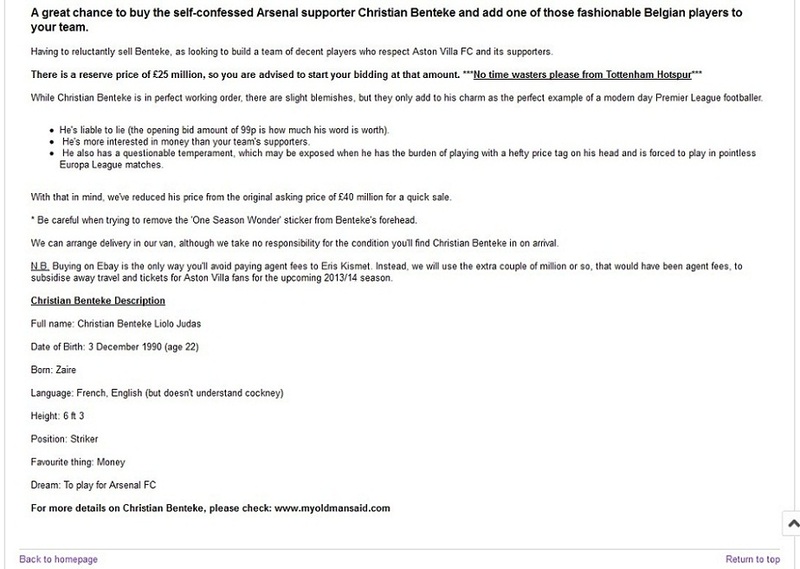 For a fuller Benteke ebay description, see the below. MyOldManSaid MRBAGGY Good job too My Old Man Said, as your entry fee would have been huge!